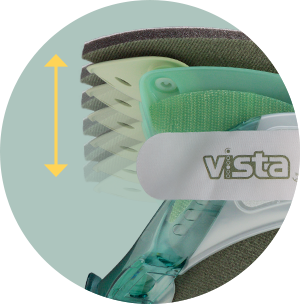 The Vista® CTO provides added motion restriction and has multiple adjustment points to help ensure a comfortable, effective fit for the vast variety of patient anatomies. Like the Vista Collar, the Vista CTO is fully adjustable and only one size is required, reducing inventory costs and keeping patient care the main priority. 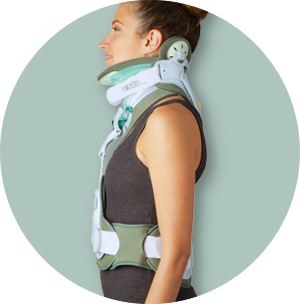 Designed for those patients requiring more support than a cervical collar alone. 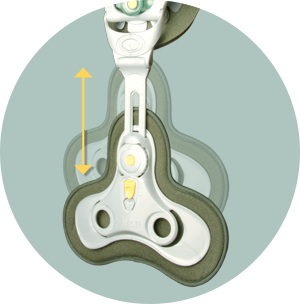 Angle of support strut is easily adjusted to fit patient’s anatomy then locks into place. 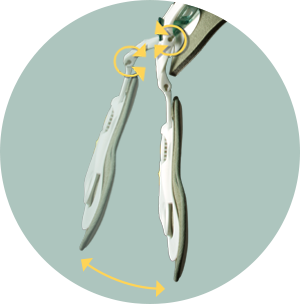 One size fits essentially all patient anatomies and unlocks to assist with patient repositioning during original fit and repositioning. Aspen cotton-lined pads wick moisture from patient’s skin while clickable polyurethane foam helps ensure optimal pressure distribution. Adjustability on the patient makes it easy to get a customized fit.